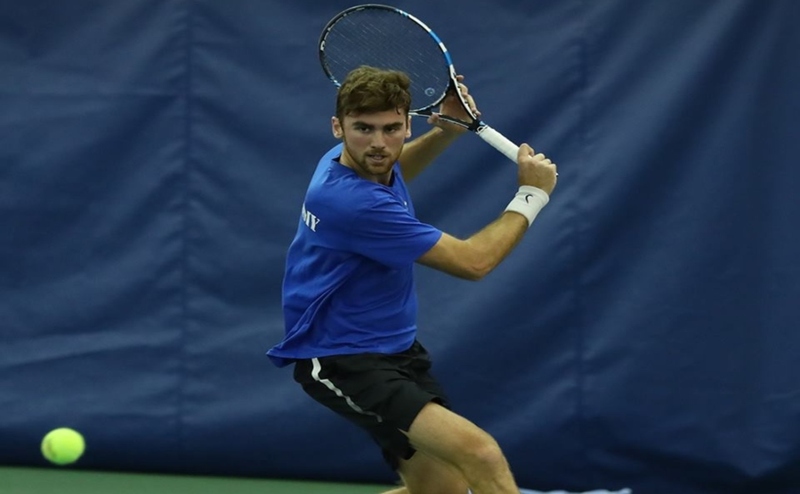 The Adams Tennis Complex in Murfreesboro was alive with the sounds of screeching shoes and the thumping of tennis balls as MTSU kicked off its 2019 spring tennis season with a doubleheader against Austin Peay and UT-Chattanooga Wednesday. The Blue Raiders opening match versus the Governors was a great chance to see the returning veteran players like Gonzalo Morell and Tom Moonen, as well as new additions Stijn Slump and Pavel Motl. The dynamic duo of Moonen and Chris Edge hit the hard court once again and took their first doubles match of the year in a 6-2 win. The two will try to climb the ITA Doubles rankings once again after making the top-50 last spring. “I felt like I was serving very well. I was struggling a little bit on the return but in the end making enough balls to win,” Moonen said. 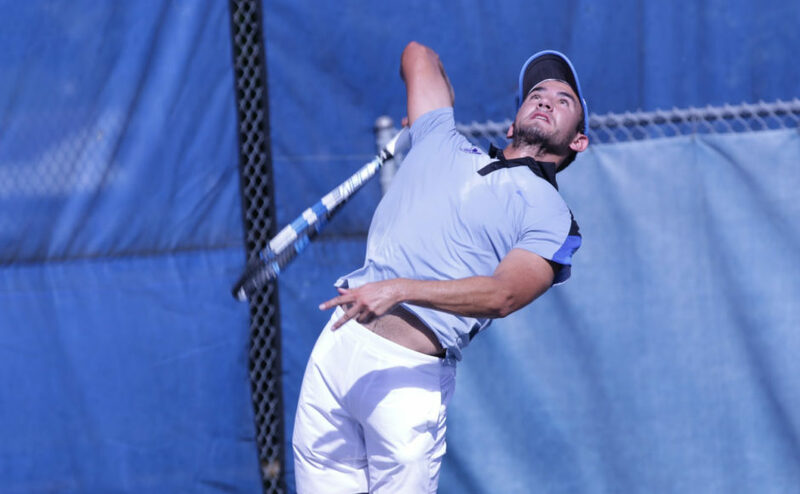 Junior college transfer Daniel Stormon was paired with fellow newcomer Slump to secure the opening doubles point 6-4 and put the Blue Raiders up 1-0. Max Rauch stood out with a dominant 6-1, 6-1 victory at No. 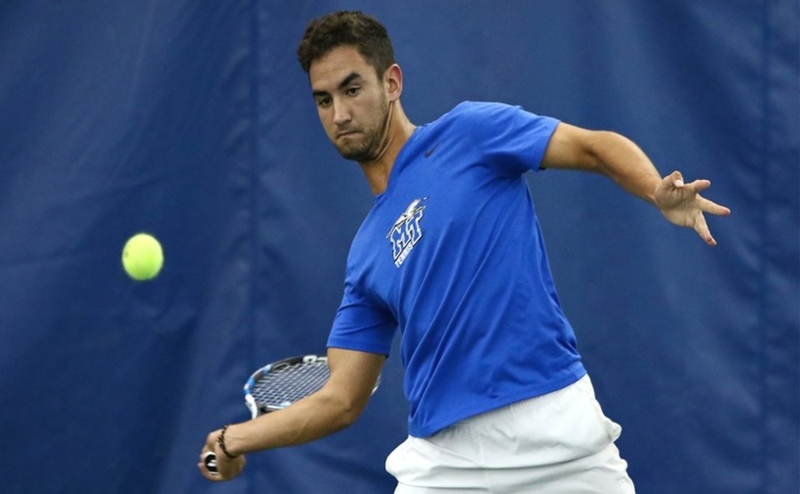 4 singles as MTSU rolled to a 7-0 clean sweep of Austin Peay. 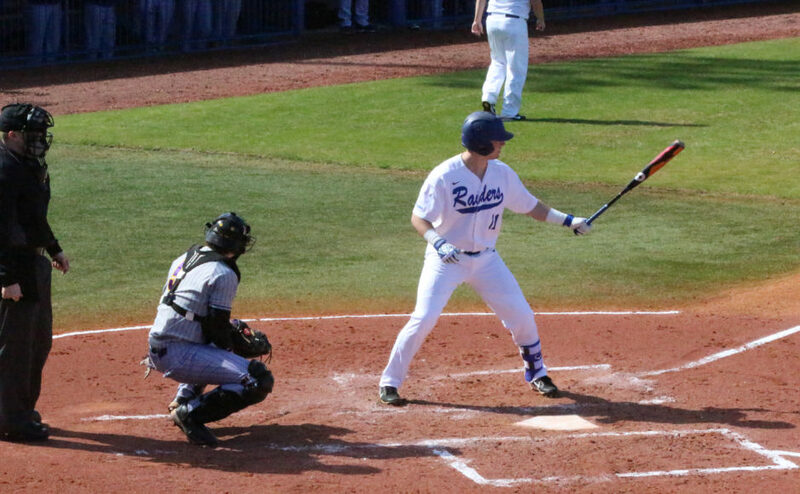 The Mocs of UT-Chattanooga were the nightcap match, returning a majority of its 2018 lineup and looking to avenge a hefty loss last year to MTSU. With a big crowd in blue, the Raiders grabbed the doubles point behind a stunning 6-0 win at No. 3 doubles with Rauch and freshman Francisco Rocha rumbling their opposition and the older duo of Motl and Morell securing the early advantage at No. 2 doubles. “That was a great crowd. I’m not sure how many were there, but you could hear them. In the (Adams Tennis Complex), we’ve got a pretty strong record, and I know it has to do with how we have a great crowd,” said head coach Jimmy Borendame. Rauch, Edge and Moonen wrapped up their singles wins in straight sets with little trouble, while the other three singles matches turned into a tough battle. Motl won a tight first set tiebreak and carried the momentum to the second set to put away his opponent at No. 6 single 7-6, 6-2. Morell bounced back from a shaky first set loss to take the second set 6-2 and then win the tiebreak 10-7 at No. 1 singles. “We only dropped one set the whole day. Gonzalo had a slow start and then got rolling. Chattanooga is a much-improved team from last year, and they tried to take it to us. And, we stepped up and won the close points” Borendame said. Slump’s match at the No. 2 spot proved to be the loudest of the bunch as thundering strokes went back and forth in a tight affair. After saving 3 break points at 5-5 (featuring a point-perfect lob), Slump finally put his foe away in the second set tiebreak 7-4 to clinch the sweep. “I wasn’t sure if that lob was going in. I was just hoping and begging for it to go in, and it landed,” Slump said. 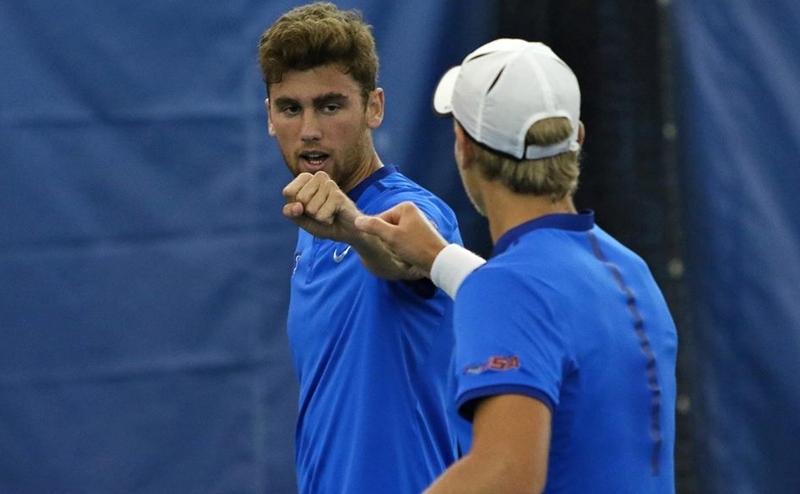 MTSU now looks ahead to a tough order of opponents with a trip to Virginia Tech for a duels match and then to the ITA Kickoff at North Carolina where the Blue Raiders will play Duke and either UNC or Utah for the second match. “The deck is stacked against us because we’re going on the road. We have a chance to play Utah who got in just over us (in the NCAA Tournament), and the Duke match is going to big. Virginia Tech is top-30. Penn State is in there. William & Mary we had a battle with last year” Borendame added.